There’s no rhythm of steel drums in earshot, nor swaying palm trees in sight, and yet island vibes dance all around me as I stroll down Ariapita Avenue on a Saturday evening in Port of Spain, Trinidad’s capital city. Trinidad, the larger of the two islands that make up the Caribbean nation of Trinidad and Tobago, is not a place that puts on airs for tourists, or anyone for that matter, as I’ve learned in my explorations over the past few days. So it comes as no surprise to me that, though this avenue plays centre stage for the annual Carnival events that swirl through the city, on this night in particular the setting before me is rather commonplace. Lights are low and dim, pavement is cracked and broken, and buildings are so non-descript that they could be found in virtually any suburb around the world. And yet, despite the complete lack of a tropical façade, the feeling of being in the Caribbean is distinctive. It flows out in the cacophony of music that pours from every corner, the spices that steam up the food stalls and, mostly, in the smiles that greet me as I offer nothing more than my earnest self. I'm giving it my best shot to lime with the locals. The most southerly Island in the West Indies, Trinidad is just seven miles from Venezuela, well off the beaten path for many tourists who are in search of fun and sun. Its under-the-radar status gives it just the type of charm that makes Trinidad one of the best destinations to immerse yourself in authentic Caribbean culture. 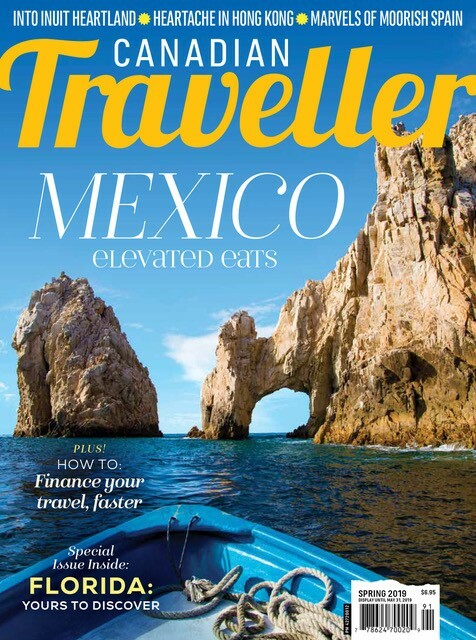 Here’s how to discover the best of the island and make a visit your own. The urban setting of Port of Spain makes a great base – and starting point – for exploring this compact island, which is roughly the size of Delaware. For the best vantage point of the city, wind up through the hills to the Lady Young Road Lookout. From here all the sights and attractions in the city stretch before you: the quirky, cruise-shaped building that houses the National Library, the stately bricks of the Red House parliament building, and the National Performing Arts Center, a metallic (and loose) interpretation of Sydney’s Opera House. On a clear day you can see the coastline of Venezuela looming in the distance. On all but the foggiest of days you can see Invaders Bay, a cove where British forces invaded in 1797 and overtook the island from the Spanish. From the lookout point, a long tract of bright green grass protrudes below. This is the Queen’s Park Savannah, a public land area where many Carnival festivities are held and coincidentally, the largest roundabout in the world. 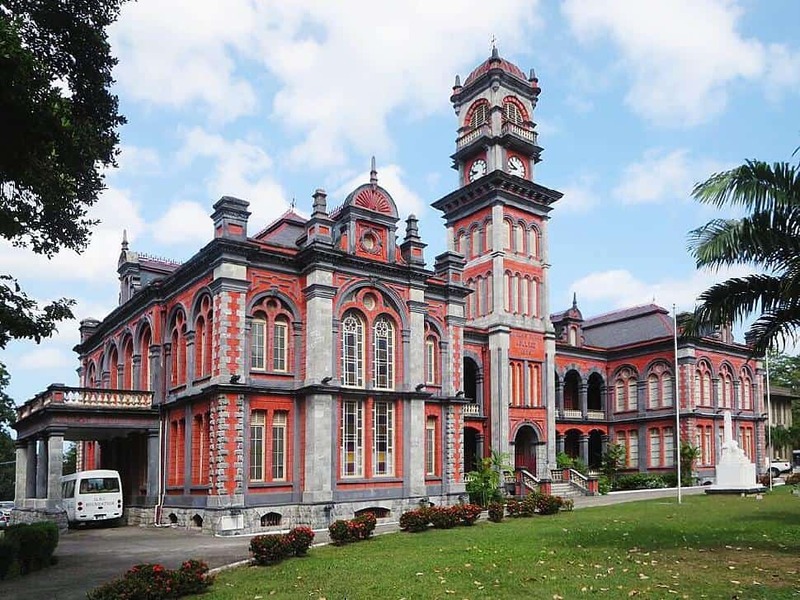 To easily and efficiently see the best of Port of Spain, and get an overview of the country’s history, take a city tour with Trinidad & Tobago Sightseeing Tours. Along the way, you’ll wander past the Magnificent Seven, a series of ten homes that encircle Queen’s Park Savannah built for the wealthy cocoa magnets. In the 1800’s, the production of cocoa and sugarcane put the island (then a colony of Great Britain) on the world map. When slavery was abolished in 1838, indentured servants from India were imported to work on the plantations. The population today still reflects this history; 40 per cent is of African descent and 40 per cent Indian descent. The unique blend of races and cultures has created a distinct “Trini” culture that is a true melting pot. 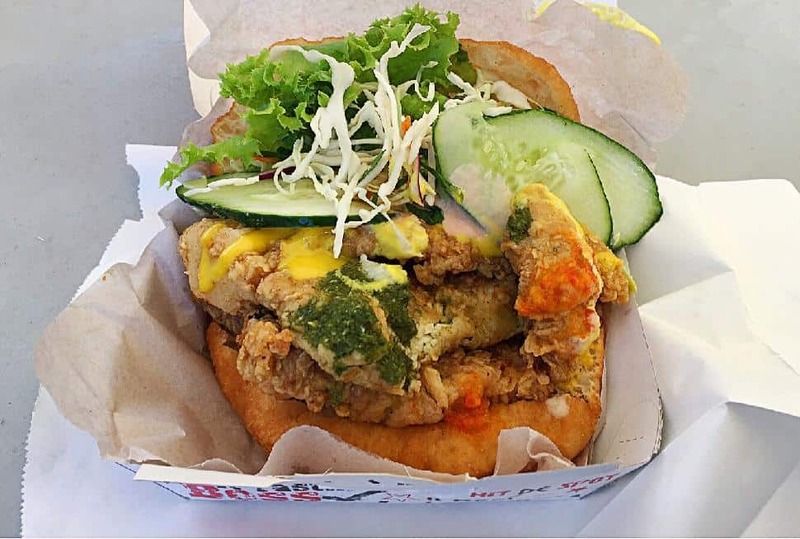 Now that you’ve lined your brain with a brief overview of the country’s history, it’s time to fill your stomach with some Trini staples on a Night Lime tour with Anthony of Trinidad Food Tours. Get ready to dig in! There’s no better way to understand the scope of influences that have shaped the cultural identity of Trinidadians than to taste its unique flavours. Street food is the way of life here, and Anthony aims to show, not tell, every visitor what it feels like to lime. Many of the most popular dishes are a unique blend of influences from West Africa, East India, Spain, France and Great Britain. 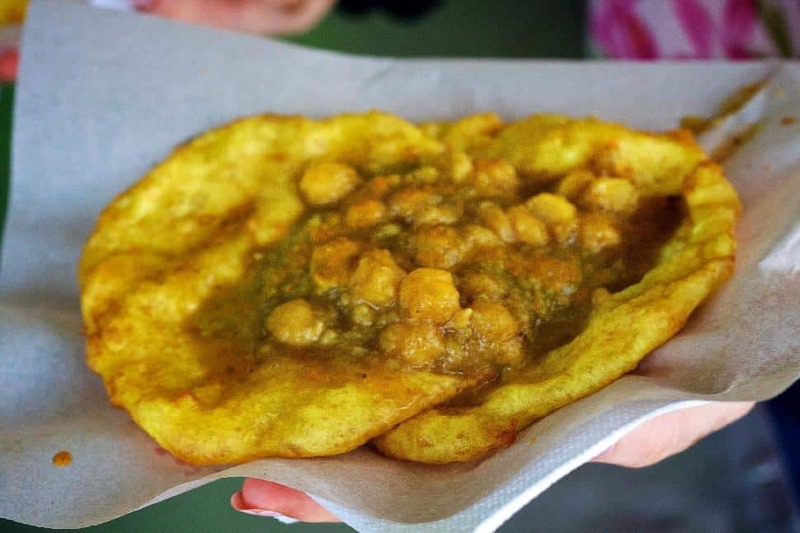 Doubles, a sandwich-type snack made with two baras, flat fried bread, stuffed with curried chickpeas, and roti, another sandwich-type snack of dried bread stuffed with curried split peas and meat, are two of the most common street foods you must try. However, be forewarned: Trini food is spicy. If your taste buds are sensitive, I recommend ordering your doubles with pepper light. After your tour, wash down the zest with a Stag or Caribe (two local beers). 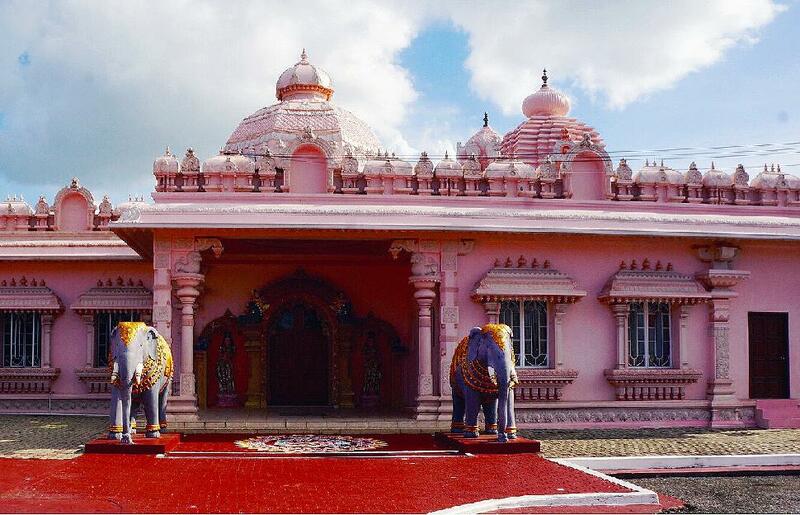 Hindu temples may not be a sight you’d expect to see in the Caribbean, but Trinidad has more than 100 scattered across the island. From Port of Spain, journey south with Gail’s Exclusive Tour Services to the village of Debe to enjoy doubles fresh from the kitchen. Debe is considered to be the birthplace of these delicacies as they were first sold to indentured sugarcane laborers en route to the sugar mills in the area. The chickpeas provided much-needed protein and pepper helps prevent the flu. Nearby in Waterloo, the majestic Temple in the Sea protrudes out of the murky waters of the gulf. In the 1930s, Seedas Sadhu, an Indian laborer, wished to build a Hindu temple but was denied the opportunity by the British government. He persevered by circumventing the laws, building his temple in the water. The structure that stands today is not the original; it was built in 1994 to commemorate Sadhu and the 150th anniversary of the arrival of the first Indians to Trinidad. Also of note in this region is the Hanuman Murti, a vibrantly colored, 25-metre tall statue of the Hindu God, Lord Hanuman. Note: if you plan to enter any temples make sure you bring clothes to cover up – the dress code to enter the temples is strict. Though Trinidad is considered part of the Caribbean, the island actually lays on the South American continent, so the flora and fauna are unique to the rest of the West Indies. When Christopher Columbus first set eyes on the island during his third voyage to the New World in 1498, he noticed a series of three mountains stretching across the distance. He named the land mass “La Trinidad” in honor of the trinity of mountains. Columbus never set foot on land due to a bad case of gout, but for today’s modern hiker, miles of trails through the dense rainforest await. Stop in at the Pax Guest House for tea with a view of lush mountain beauty and diverse bird species. Hike the grounds and visit Mount Saint Benedict Abbey, a historic monastery. The mangrove forests of the Caroni Bird Sanctuary come aflutter with beauty at sunset as flocks of scarlet ibis fly across the waters of the Caroni Swamp. 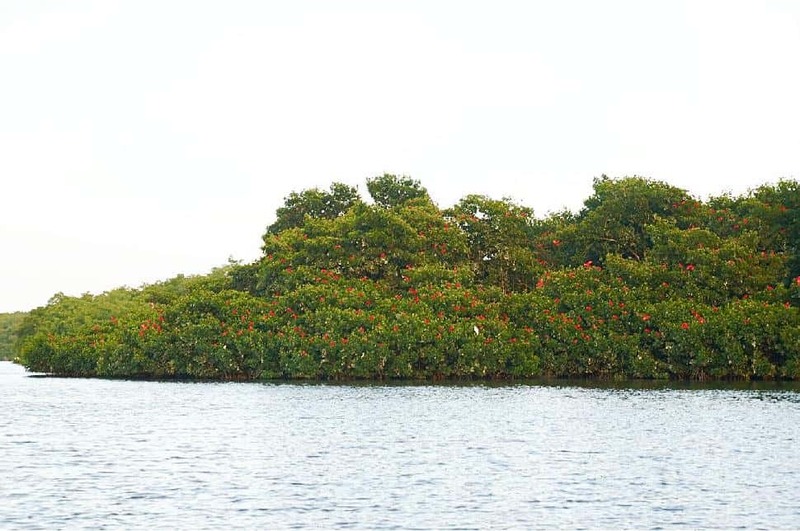 The boat trip to is not a jungle cruise per say, but an expedition to small islands the scarlet ibis call home. As the sun sets, flocks of Trinidad's national bird fly around, their bodies illuminated like balls of fire ignited by the setting sun. They gracefully land on the trees where they will nest for the night. It’s truly a magnificent site to behold: a peaceful lake surrounded by mangroves and mountains. 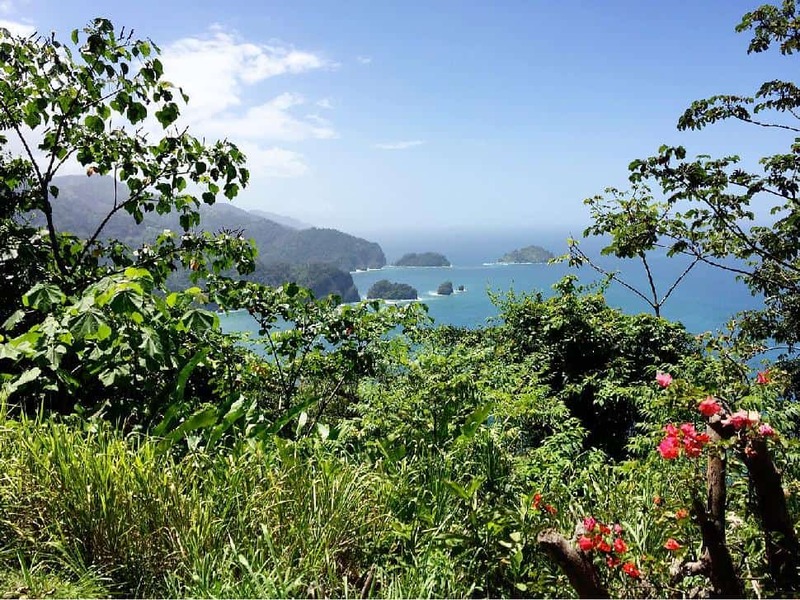 While a sense of urgency is generally muted in Trinidad, Nanan’s Bird Sanctuary Tours is one place where island time doesn’t apply; tours leave promptly at 4 p.m., so don’t be late. Ok, so maybe one Caribbean cliché does hold up in Trinidad – the beaches are paradise. 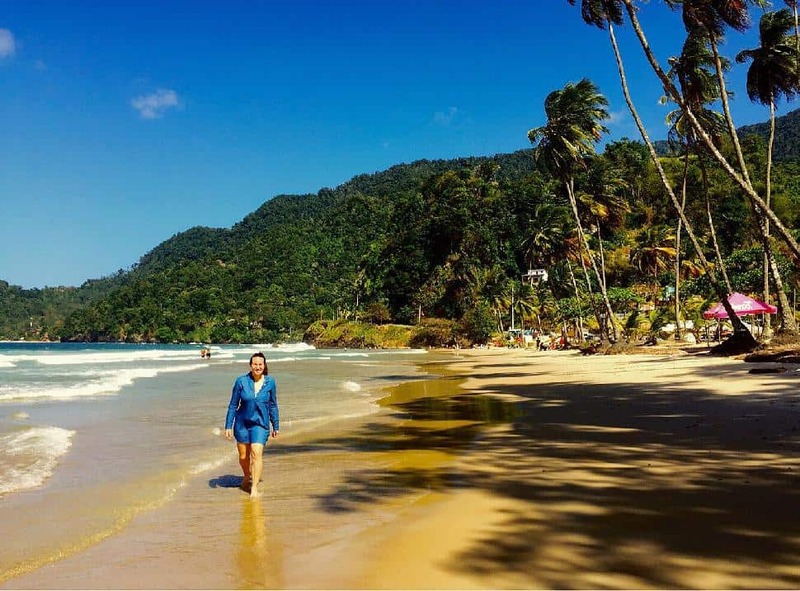 Just 30 minutes from Port of Spain, Maracas Bay is the #1-visited beach in Trinidad. Maracas is known for 'bake and shark'. Locals say it so fast it may sound like bacon-shark but (unfortunately) no bacon is involved. The dish is actually fried shark and fried bread. Lines stream out from Richard’s, the most iconic eatery in town. It’s worth the wait. It turns out you can lime on the beach too, and, since there are no resorts here, you’ll continue to lime with locals as you splash in the azure waters, lay out in the sand and doze off to the faint beat of soulca music that streams from the distance. 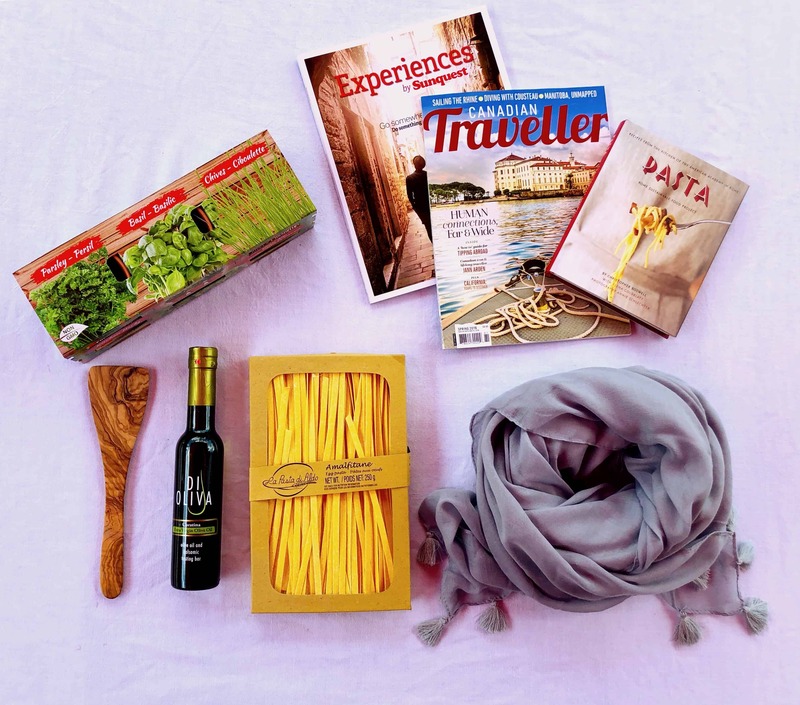 If you can't travel without fear of eating local food - why leave home? The Caribbean celebrates their Mardi Gras with massive carnivals and a particular vigour that makes it much more fun than New Orleans.